Palmgren Acupuncture opened its doors in 2013. Since then, we have proudly called Oak Park home. We’re fired up about healing the world with Traditional Chinese Medicine and massage. We’re passionate to encourage as many people as possible to try acupuncture, Chinese herbs, and massage. We’re motivated by our mission to prevent unnecessary surgeries and medications so people can live longer and fuller lives. We give back to the community through volunteering at local non-profits and hosting an Acupuncture Day Celebration each year in October. Lynn has helped hundreds of people improve their health naturally with Chinese medicine. Her goal is to help her patients feel good again. Lynn works with her patients as a team to create the right treatment plan for them. She specializes in acupuncture for pain management (especially hip and back pain), insomnia, and neuropathy. Lynn holds a Master of Science degree in Oriental Medicine from Pacific College of Oriental Medicine in Chicago, Illinois; a Juris Doctor from Drake University Law School in Des Moines, Iowa; and a Bachelor’s degree in business administration from Augustana College in Rock Island, Illinois. She is licensed by the State of Illinois to practice acupuncture. 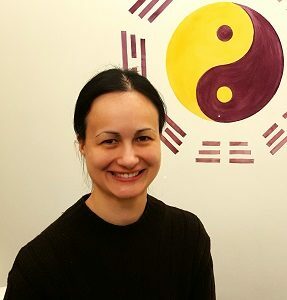 Lynn is a Diplomate of Oriental Medicine and is certified by the National Certification Commission for Acupuncture and Oriental Medicine (NCCAOM). She was first introduced to acupuncture by a friend. Experiencing insomnia since Lynn was a small child, she was open to trying a more natural remedy. She was skeptical at first. However, after two weeks of acupuncture and Chinese herbs, Lynn was finally sleeping through the night. She was pleased with the results. Working as an attorney amidst budget cuts, Lynn was ready for a change of pace and decided to take her career path in another direction: health. 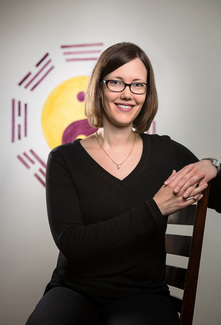 Her experience with Traditional Chinese Medicine attracted her to a career in acupuncture. Since enrolling at Pacific College, she has made it her mission to make acupuncture and Traditional Chinese Medicine more mainstream. 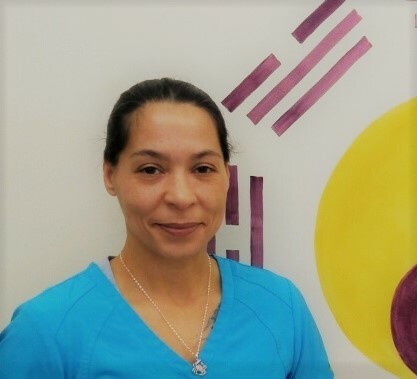 In addition to over 3500 hours of classroom and clinical training and experience, she has received specialized training in orthopedic acupuncture/motor point needling as created and developed by Matt Callison, LAc. Lynn also has specialized training in abdominal palpation/Chinese massage and diagnosis. One month after graduating from Pacific College, she founded Palmgren Acupuncture in downtown Oak Park in 2013. Lynn is active in the community. She is a Board member for the Oak Park-River Forest Chamber of Commerce. Lynn is a member of the Executive committee and serves as a co-chair on the Membership Committee. She is also a member of Oak Park Toastmasters Club 614 and loves giving public speeches about health and lifestyle. Lynn lives with her husband Nick and their son in Oak Park. I’ve been seeing Lynn for acupuncture for over a year and she is one of the most compassionate practitioners I’ve ever worked with. She is also one of the best listeners I’ve ever encountered and that skill informs her how to best help her clients. 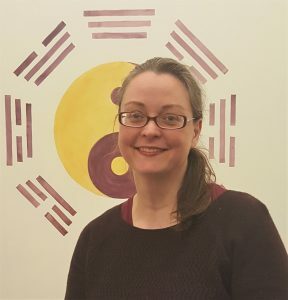 Her vast knowledge of Chinese medicine, peaceful aura and sense of humor make her an exceptional practitioner. Nick encourages patients to make their health a priority. His goal is to inspire people to be the best version of themselves. Nick works closely with patients to design a course of effective treatment. He specializes in acupuncture for pain management (especially shoulder and back pain), anxiety and depression. Nick holds a Master of Science degree in Oriental Medicine (acupuncture and Chinese herbology) from Pacific College of Oriental Medicine in Chicago, Illinois and a Bachelor’s degree in history from University of Illinois-Chicago. He is licensed by the State of Illinois to practice acupuncture. He was first introduced to Traditional Chinese Medicine when he was injured during a Judo class. At the time, Nick was teaching English classes to children in Korea. He received acupuncture and recovered quickly from his injury. Looking for a change in career upon his return to the U.S., he remembered how powerful the medicine was and enrolled at Pacific College. Since that time, he has been committed to helping prevent unnecessary medications and surgeries. 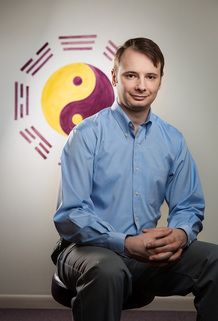 In addition to over 3500 hours of classroom and clinical training and experience, Nick has specialized training in Richard Tan’s Balancing Method, Kiiko Matsumoto’s Japanese palpation techniques, Five Element Theory (J.R. Worsley), and orthopedic acupuncture/motor point needling techniques. He received specialized training in Primal Reflex Release Technique developed by physical therapist John F. Iams. In his free time, Nick enjoys studying and practicing karate and Brazilian Jiu Jitsu in the area. He also teaches a self-defense course based upon jiu jitsu in Forest Park. In addition, he is an active member of the Oak Park-River Forest Chamber of Commerce and volunteers his time there. Nick lives with his wife Lynn and their son in Oak Park. Thanks to Nikolas Arestopoulos’ perceptive acupuncture technique I no longer endure physical distress. After being diagnosed with osteoarthritis, Mr. Arestopoulos’ treatment and counseling have given me renewed flexibility and energy. I recommend his acupuncture modality to everyone seeking freedom from pain. Kholood comes from a family immersed in the healthcare field and has been working as a Registered Nurse (RN) for 10 years. She was inspired to study acupuncture when a family member became ill and needed more care than what was provided. After witnessing such positive effects with acupuncture treatments, Kholood decided to study Oriental medicine and incorporate acupuncture. 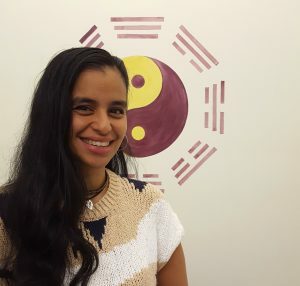 What she enjoys most about being an acupuncturist is the versatility of the medicine and the ability to focus on each patient as an individual. Her philosophy of patient-centered care is to make achieving optimal health a priority. Kholood is committed to helping people make the necessary adjustments to achieve and maintain optimal health. Her specialties are pain management, gastrointestinal concerns, and weight loss. Kholood holds a Doctorate in Acupuncture and Chinese Medicine as well as a Master of Science degree in Oriental Medicine from Pacific College of Oriental Medicine in Chicago, Illinois. She studied at City Colleges of Chicago to become a RN and has a Bachelor’s degree in biology from Northeastern Illinois University. She is a Diplomate of Oriental Medicine certified through the NCCAOM and is licensed by the State of Illinois to practice acupuncture. Kholood has specialized training in orthopedic acupuncture/motor point needling. Kholood spends her free time in nature at every opportunity. An avid reader, she loves to keep up with the latest developments in alternative and Western health care modalities. Marianne enjoys working with her clients and helping them achieve their goals. 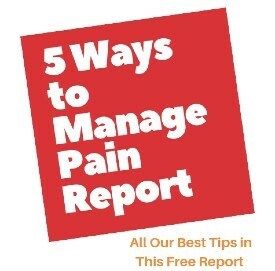 Her goal is for you to leave feeling better and more relaxed. Marianne specializes in managing pain in the shoulders, arms, and hands. She has received training in Japan and the U.S. She graduated from Kansai University of Health Sciences in Osaka, Japan and Cortiva Institute Chicago School of Massage Therapy. She has been practicing massage since 2008. Marianne is licensed in the state of Illinois and is a member of the American Massage Therapy Association. She offers Swedish/Relaxation massage and has specialized training in reflexology. Marianne creates a personalized session that is designed to meet your needs. She aims to provide a relaxing, comfortable environment that helps heal you. Outside of the clinic, Marianne enjoys cooking healthy dishes and practicing the art of flower arrangement. Katie enjoys being a part of client’s self-care with getting massage. She specializes in releasing stress and reducing tension/tightness in the back, neck, scalp, and face. She customizes her sessions for each client - utilizing the variety of massage techniques she has learned - Swedish/relaxation, myofascial release, Thai massage, Lomi Lomi and Shiatsu. 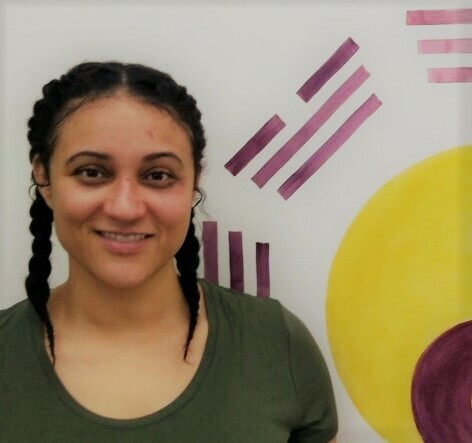 Katie earned a Bachelor’s in Applied Behavioral Sciences from National Louis University in Chicago and graduated from the New School for Massage Bodywork and Healing also in Chicago. She is licensed in the state of Illinois and is a member of Associated Bodywork & Massage Professionals. In her free time, Katie likes reading, cooking, being outdoors, traveling, going to the movies, and spending time with friends and family. Evie loves working with clients to create a relaxing and therapeutic experience. She listens closely to her clients and assesses their posture and gait to see what they need. Her focuses include relaxation/stress reduction and helping people with hips, neck and feet concerns. Evie blends the different techniques she’s learned over the years - Swedish/relaxation massage, deep tissue, integrated reflexology and functional movement techniques - into her sessions. She customizes each massage to fit the client’s needs and preferences. Evie graduated from the Soma Institute in Chicago and has practiced massage for several years. She is licensed in the state of Illinois and is a member of the American Massage Therapy Association. Evie is also a registered certified yoga teacher and loves practicing and teaching yoga. She is a member of Yoga Alliance. In her free time, Evie enjoys hiking, canoeing, biking and painting. Anna loves helping people and is a consummate organizer. She has over 20 years experience in the administrative field. Anna enjoys working in alternative medicine and learning new things. Her aim is to help you feel comfortable while you’re here. She is in the clinic on Mondays and Saturdays and is the “go-to” person for scheduling appointments. In her free time, Anna is the leader of a local girl scout troop. She lives with her husband and two kids in River Forest. Got a question for any of our staff? Email them here. Book an appointment with any of our practitioners online here.